This clever piece of tech was behind much of the pop music of the 80s. I picked one up second hand sometime later, and had some fun with it. I got it out of the cupboard last year to fire it up, but sadly it wasn’t working. Nothing. Nada. Not a sausage. I opened it up, did some quick checks and established that the power supply seemed to be problem. Because these things were produced in the hundreds of thousands, there is plenty of information around. 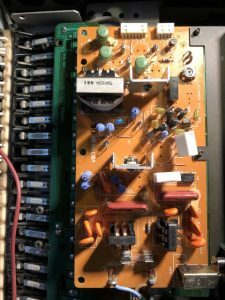 I found service manuals that show part layouts and circuit diagrams. 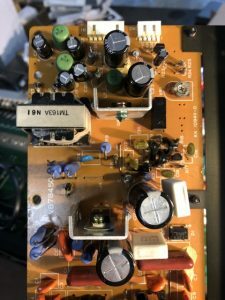 A forum suggested that it was likely to be the electrolytic capacitors that would fail in the power supply. 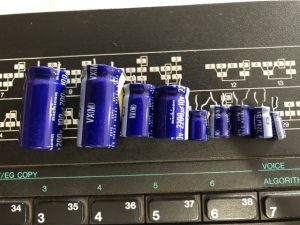 I desoldered the old capacitors, and several of them tested as a short circuit. I ordered the required values online, and had them a week ago, but finally had time today to replace them. 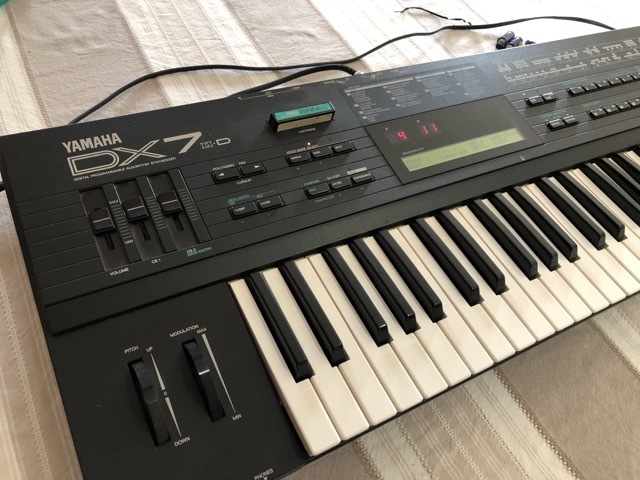 Very pleased to find that the synth powers up, and all of the presets are still saved as well. 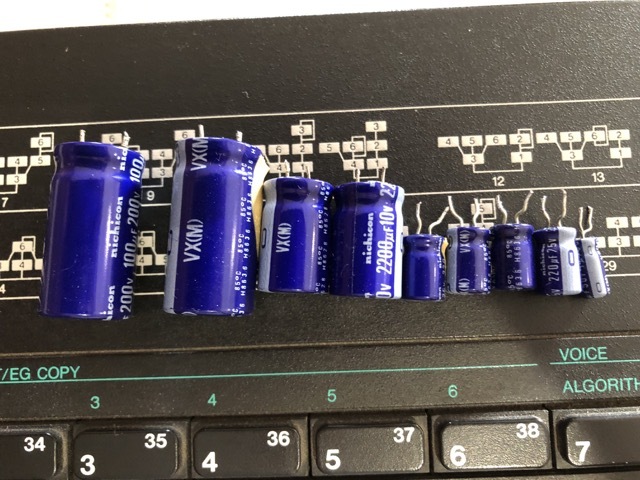 9 capacitors worth about $10 and it is back in action.